We embrace the diversity of Howe Green House pupils; by the time they are seeking a senior school their sense of individuality is well developed and their talents, passions, strengths and challenges are evident. This means the school is well placed to help in the process of ‘future school’ decision making, which usually starts around Year 4 when parents meet with the Headmistress and options are discussed. Support is given throughout the admissions period, from the initial application to the moment of accepting the right school’s offer. We work both with the parents, as they navigate this brave new world, and with the children to help prepare them should they be sitting for Independent School entrance exams, scholarships or aptitude tests. 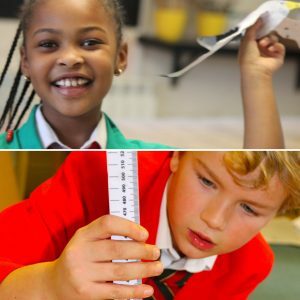 In the Summer term of Year 5 the curriculum incorporates the initial stages of preparation for the types of entrance exams the children are likely to sit, in addition a ‘Booster club’ is led by the Deputy Head one morning a week before school, where past entrance papers are worked through, focusing on the best techniques for answering a wide range of questions. We also teach additional areas which are required for entrance exams. Booster club continues into Year 6, until the exam ‘season’ is over and the children have achieved their places. During the Summer term, we meet with our Year 5 parents and discuss the process of senior school transition. As we send our children to a variety of schools; both independent and state, we have worked hard to create an excellent relationship with all. We invite past pupils to the school to talk about senior transition and the children are given the opportunity to ask questions about the school. As part of our PSHCE programme we teach the skills the children need when moving to senior school and help them to understand the emotions surrounding the upcoming changes and how to make the most of the opportunities they will encounter.